Notice: I feel that this should be posted on OURKITTERY. Brian served (AMR) American Medical Response in Kittery and over many years, responded to many calls while serving. He was also a resident of Kittery. Brian was responsible for helping save many lives and provide comfort to not only Kittery Residents but the seacoast as well. Below is a post from the York Village Fire Department. Brian Starkey served Kittery and our residents with distinction. The York Village Fire Department regrets to announce the passing of FF Brian Starkey. 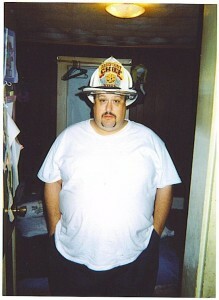 Brian is a former Medical Crew Chief and Department Assistant Chief. Brian and his wife Bonnie ran the department’s Fire Explorer post for a number of years and helped many of our current firefighters and officers get their start on the YFD. He was an avid fire buff and was active in numerous fire buff groups. Brian was often found behind the wheel of Engine 6 his beloved American LaFrance pumper, he never liked driving anything else in the fleet. In recent months, Brian’s health had deteriorated and he missed the fire department. In his time in and out of the hospital he relayed to some of the members how much he wanted somebody to take him down to the firehouse. Many of us were optimistic that he would pull through. A steady stream of visitors had kept a constant vigil with the family for at least the past week. It’s times like this that the extremely close-knit family culture of the York Village Fire Department really shows through. 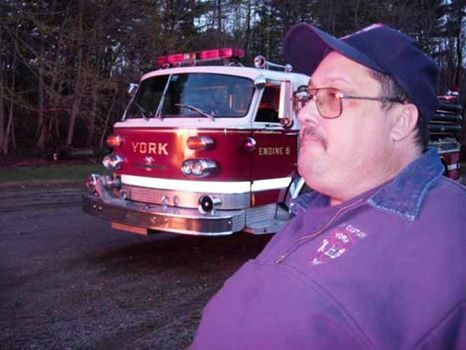 Brian and Bonnie put countless hours into the York Village Fire Department over the years and their dedication to the organization is pretty nearly unrivaled. Brian will be sorely missed around the York Village Firehouse. The Department is assisting the family with their immediate needs. This entry was posted in General Town News on July 2, 2014 by Chuck Denault.